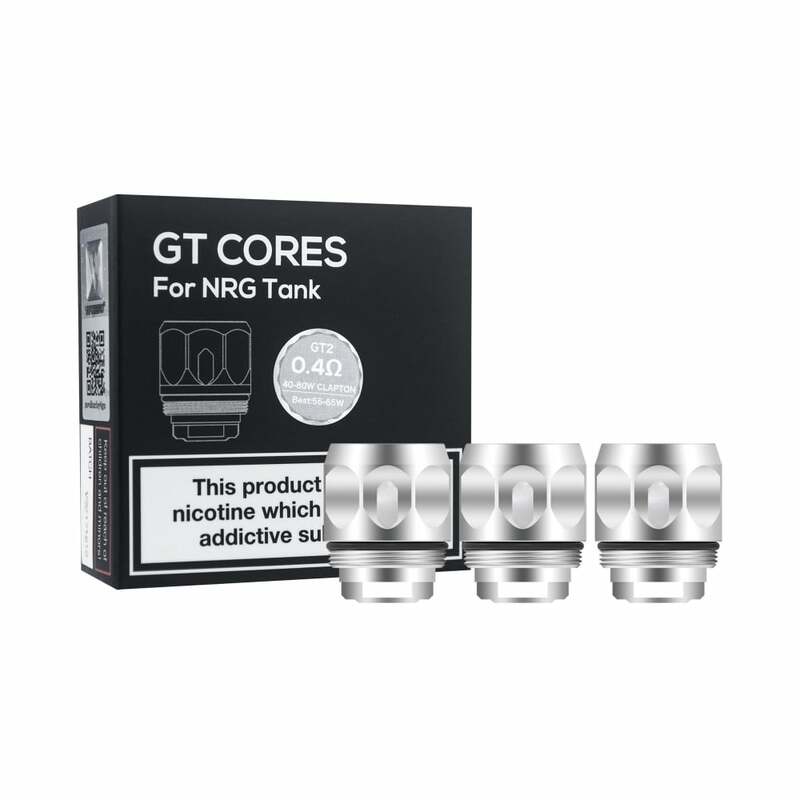 Vaporesso GT2 Core Coils are sub-ohm coils rated at 0.4ohm and intended for use in the Vaporesso NRG Mini Tank, found in the Vaporesso Revenger and Revenger X Kit, and the Vaporesso NRG SE Mini Tank. Coils from the Vaporesso GT Core range are ideal for cloud chasers, and provide fantastic flavour. GT2 Core Coils are made from cotton for pure, bold flavour. In VW high mode, these coils are to be used at a range of 40-60W, and are best at 45-55W; in normal mode, they can be used at 40-80W, but are best used at 55-65W and in soft mode, they are to be used at 50-80W, though 60-70W is best.